Anyone got a work around for this? I'm having a similar issue but the method above did not work for me. I get this dialog box but I cannot find the msi file it's referring to. 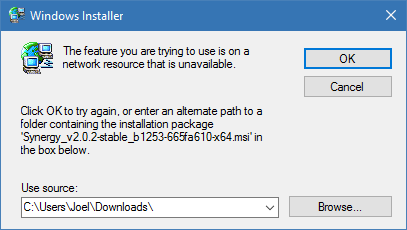 If try to point it towards the most recent download I receive the second dialog. Is it possible to download the older MSI file to try to uninstall?